New miniseries set in The Walking Dead universe. Telltale Games went two for two at Geoff Keighley’s The Game Awards tonight. 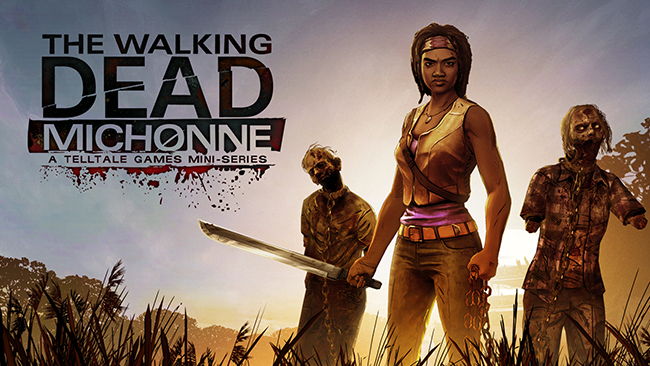 After announcing their Batman game earlier in the evening, they went ahead and announced a brand new Walking Dead game- the previously discussed Walking Dead: Michonne miniseries, set in the same universe as their flagship Walking Dead adventure games, follows different characters, and their stories through the post apocalyptic world of The Walking Dead. The trailer was extremely short, and very light on details (in that I can’t say I really know any more about the game, other than it exists, and this is after watching the trailer a couple of times), but at the very least, it seems that Telltale is using the same artstyle, and… yeah, that’s all I’ve got. Anyway, the game is due out some time next year. The release date and targeted platforms are as of right now unknown. Stay tuned, and we’ll keep you posted when we get more information.